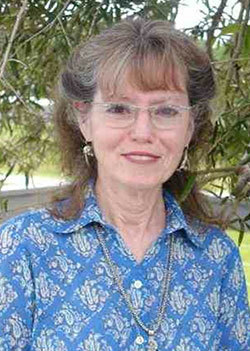 Penelope founded LCF in 1996 and served as its executive director until 2010. In 1998, Penelope retired from New York’s American Museum of Natural History after serving over 18 years in a number of capacities, but primarily as education coordinator for the museum’s international education travel program. She continues her AMNH affiliation as a field associate in the Division of Anthropology. Her biography, African Obsession: The Life and Legacy of Carl Akeley, about the legendary hunter-turned-conservationist, was published in 1991 and again in 1998. An Explorers Club Fellow since 1989, she received an Audubon TogetherGreen Leadership Fellowship in 2010. Penelope’s own path to conservation was anything but conventional: she was Dominican nun and an actress/singer on and off Broadway before she founded LCF. Today she makes paintings that celebrate animals undervalued or loathed, mostly hyenas, lemurs, and invertebrates. Penelope is dedicated to the idea that art cannot change the world but that it can most certainly change the way we think, interpret, and feel about it.